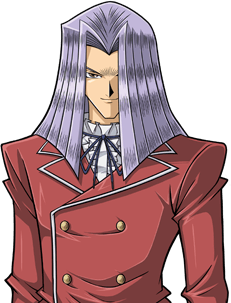 Yu-Gi-Oh Duel Links Pegasus Character Guide. Level Up Rewards List provided and Duel Reward Cards aswell and How To Unlock Pegasus Skills. Featuring links to the Best Decks for Pegasus and other strong Duelist you can unlock. Yu Gi Oh Duel Links Pegasus is a Toon Duelist that can be Unlocked by earning 35,000 Points by Winning Duels against him at the gate during the Toon World event. The Toon World event is open from January 31th until February 7nd. It is the only time you’ll be able to unlock him and the exclusive cards he has. To get a shot at dueling him you need to collect Starchips from beating duelist either Standard or Legendary. You’ll start off by collecting star chips from winning duels against Standard Duelist, Legendary Duelist and the Vagabound. Once you have enough required star chips you can now challenge Pegasus and receive points from dueling him based on your Duel Assessment. Once you reach 35,000 points you will unlock him and be able to begin collecting his Cards and Rewards, you can find the full list below. Keep in mind that some cards from him can only be unlocked by beating him and receiving it as a reward, it’s a wise decision to collect and gather the needed star chips to farm points which can be used to unlock exclusive toon cards. Luckily the Star chips are quite easy to obtain at the toon world event. Gaining 35k of points will unlock him, once you unlock him the earliest skill you will learn as him is LP Boost, a skill which allows you to increase your life points by 1000 at the start of any duel. 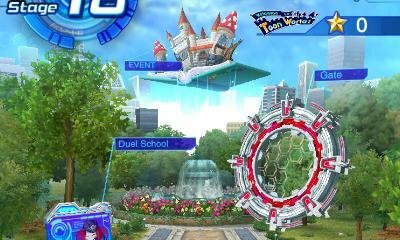 The Toon World event points that you get is not the Duel Assessment from dueling against Pegasus Character, it is instead a multiplication of that Duel Assessment score depending on what level of Pegasus you are dueling. The maximum amount of items you can earn in the Toon World Event. Pegasus Level Rewards: Obtain Skills from leveling up your playable Characters in duel links, although some skills will unlock right away at levels 4, 13 and 20.
Pegasus Drop Rewards: There is chance aswell that a skill will Drop, skill drops are more frequent than you think and can be used on all characters. Below we list How To Get Pegasus Skills. When you Raise Up any Yu Gi Oh Duel Link Characters you’ll Unlock a variety of Rewards along with it. Higher the Level, the better Rewards, some cards can also be specifically only unlocked through leveling yugioh characters. Below we List Rewards for Leveling Up Pegasus in Yu Gi Oh Duel Links. What Are Pegasus’s Reward Cards and How Do I Unlock Them? Reward Cards are earned by gaining a victory against legendary duelist during the toon world event, depending on the exact level of the duelist you won, it can determine the type of yugioh cards you can receive. You can view all the Card Rewards below here in this Yu Gi Oh Duel Links Pegasus Guide. Character specific cards such as his are obtained only from him, during the toon world event. List of Card Rewards that you have a chance of receiving by winning Level 10-30 Pegasus.